For twelve years, Toyota has been the partner of the Australian Football League, and the 2017 AFL Toyota Premiership title is as hotly contested as ever. 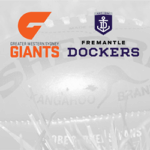 The fixtures for the AFL 2017 Toyota Premiership season were released in October as the authorities of the AFL decided to field more prime time Thursday night matches, and a first ever match to be played in Asia for premiership points. Port Adelaide and the Gold Coast Suns will be the teams to play the first match in China at the Jiangwan Sports Centre. 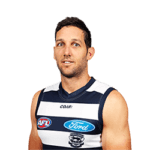 There will also be a first match played in regional Victoria for premiership points in anywhere other than Geelong in more than sixty years when Eureka Stadium in Ballarat hosts the reigning premiers the Western Bulldogs against Port Adelaide in August. The AFL 2017 Toyota Premiership will be played during the Australian winter, from March to September, across a format that will allow all clubs to play eleven home and away games with one bye. 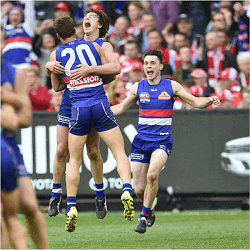 The second bye in early September that was introduced in 2016 will be retained, so the top eight clubs can prepare for the 2017 Toyota AFL Finals Series. The AFL 2017 Toyota Premiership Grand Final will be played on Saturday the 30th of September. It has also been decided to play a game on Good Friday for the first time, and North Melbourne will play the Western Bulldogs at Etihad Stadium in a twilight game. No match is set up for Anzac Day. The fixture for the AFL 2017 Toyota Premiership has been constructed in a way calculated to enable fans to watch the game in great numbers, and to continue to build the game as the number one sport in Australia. The 2016 season was outstanding, and the finals series saw enthralling matches taking place. The goal is to ensure that all clubs can compete equally for the top eight spots in the finals series. The AFL 2017 Toyota Premiership will open with a Thursday night match at the MCG, between Carlton and Richmond. All mid season Thursday night matches will be played outside of Melbourne. Adelaide will get two matches, Geelong one, Perth one and Sydney one match. The Australian Football League is busy and active, so fans of the sport can expect a continuous flow of fast action entertainment. Anyone wishing to place bets on the teams playing in the AFL 2017 Toyota Premiership will have a vast variety of wagers to choose from.